Kennebunk's Christian Putnam takes down Falmouth's Evan Lovley on the opening kickoff. 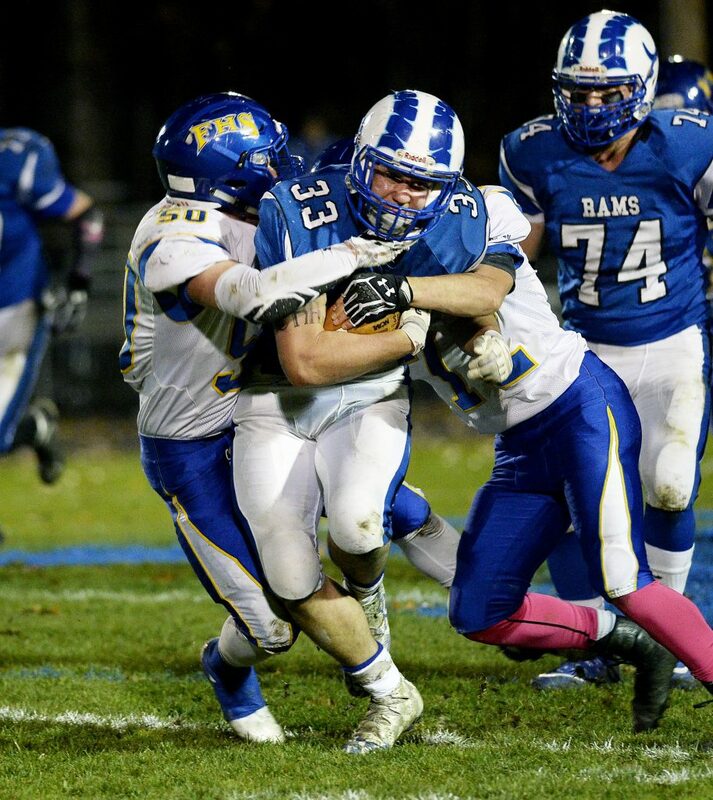 Kennebunk's Dante Delorenzo fights for extra yardage as Falmouth defenders Coleman Allen, left, and Josh Allen try to bring him down. 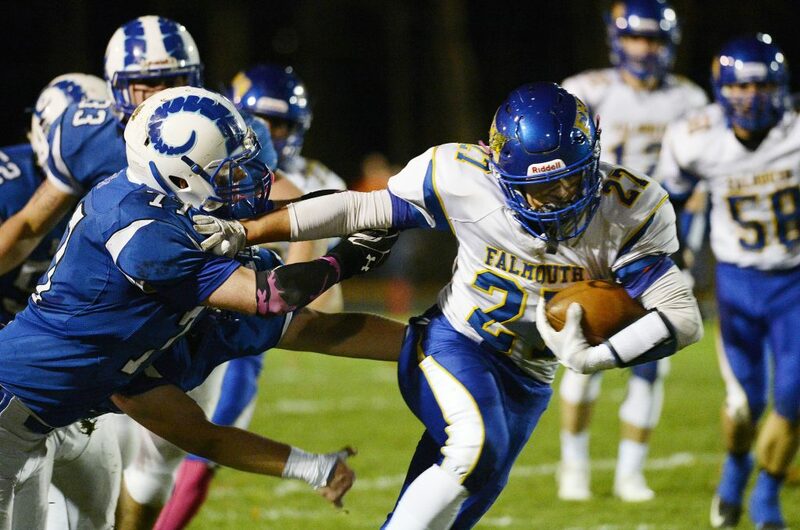 Kennebunk's Derek Smith looks for an opening as Falmouth's Griffin Aube moves in on defense. 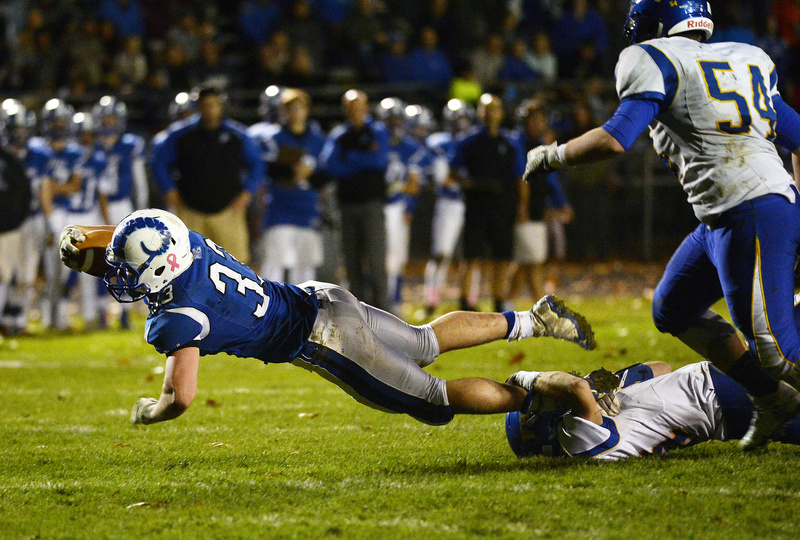 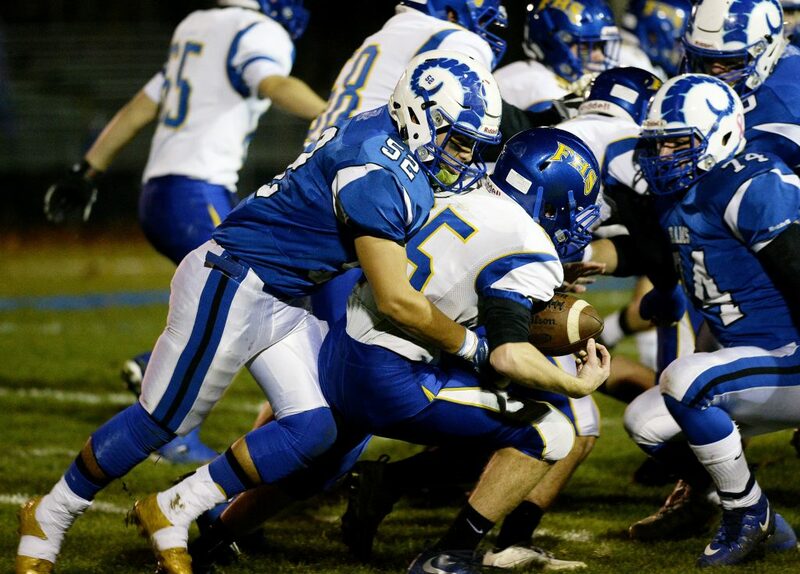 Kennebunk's Dante Delorenzo dives forward for extra yardage against Falmouth. 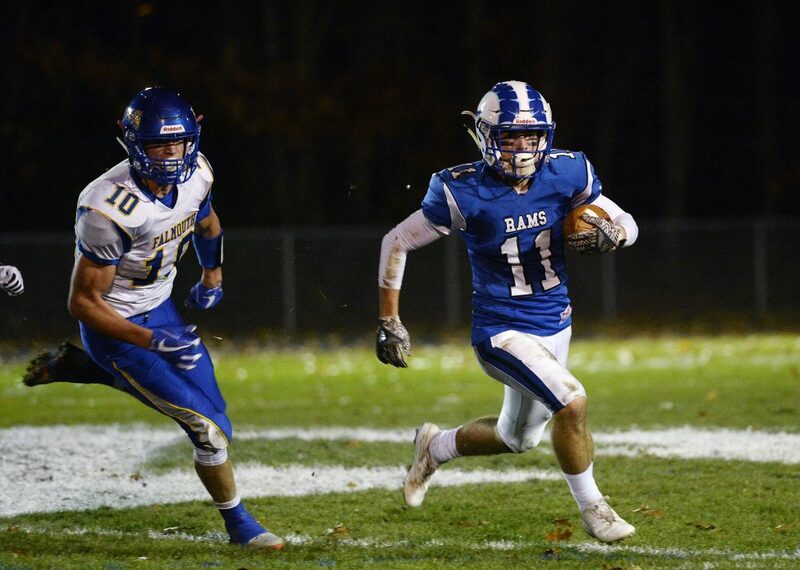 Falmouth's Garret Aube breaks free on his way to a first-half touchdown against Kennebunk.